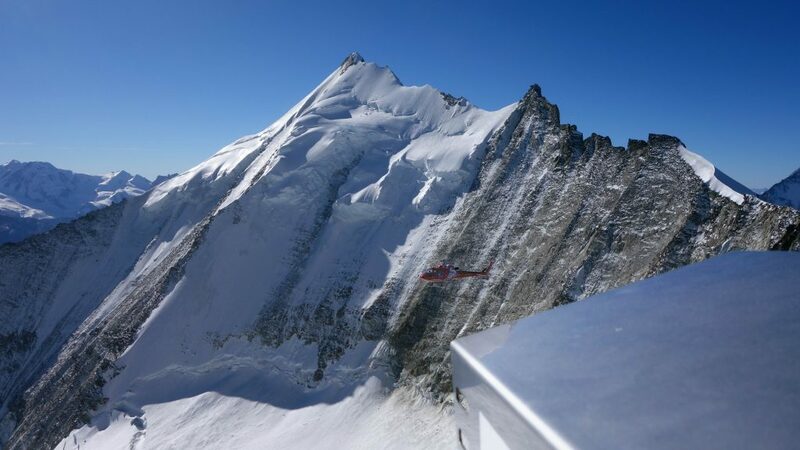 Weisshorn hanging glacier: Monitoring at 4133 m a.s.l. The hanging glacier on the north-eastern face of famous Weisshorn (4506 m a.s.l.) of Switzerland is now permanently monitored by our deformation camera. We installed the 42 megapixel camera with HDR option at the end of October 2018. The camera photographs the glacier several times a day, whereas the local HDR processing ensures optimal results in difficult light conditions (sun/shadow). The station automatically transmits the images via mobile phone network to our servers, where our high-performance computers calculate a daily deformation analysis. Long-term surface analysis enables us to detect qualitative changes in flow velocities and to track accelerated glacier areas more precisely (example: Weissmies glacier collapse in 2017). This station is at 4133 m a.s.l. our highest monitoring station to date. It has to withstand the harsh conditions with high winds, very low temperatures and large amounts of snow all year round. For end users, monitoring is much more convenient; the fully automatic station and data analysis allow the user to conveniently access all high-resolution images and deformation analyses at any time via the online data portal using a PC or smartphone. 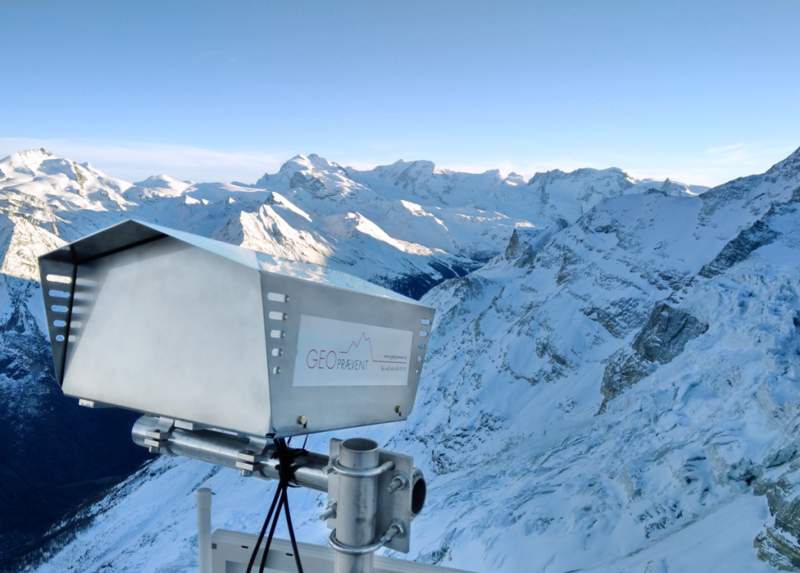 Figure 1: The deformation camera is located on a secondary peak of Bishorn and is aligned to the northeast face of Weisshorn (4506 m a.s.l.). Figure 2: Power is supplied to the monitoring station by a solar cell, in bad weather a battery ensures operation. Bis Glacier has its accumulation area in the steep rock walls of Weisshorn and merges with the ice masses coming from Bishorn in a depression further down. The glacier then drops over a sharp edge steeply into the Matter valley, not far from the village of Randa. Ice masses repeatedly break off from the hanging glacier at Weisshorn (as well as the steep section further down) and can reach the road and railway tracks in direction of Zermatt as a combined ice and snow avalanches. The last major collapse occurred in late March 2005, without putting the village of Randa or the road/railway at risk, as fortunately there was little snow at that time (Laboratory for Hydraulic Engineering, Hydrology and Glaciology (VAW) at ETH Zurich, NZZ (2005)). Since 2017, we have been permanently monitoring the sharp edge of Bis glacier on ice and snow avalanches. The monitoring and alarm system consists of two deformation cameras and a long-range avalanche radar. 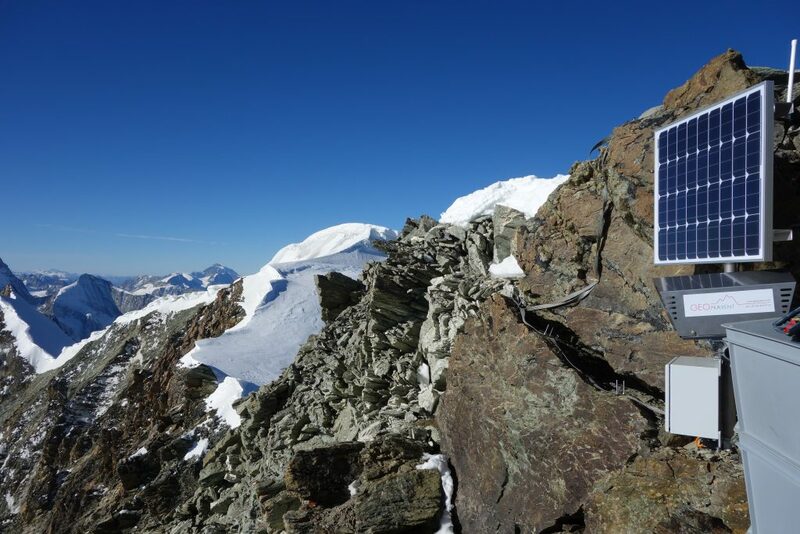 Find out more about Bis glacier and the installation in Randa here. Figure 3: The upper deformation camera of the Randa monitoring system is observing the glacier at the escarpment.